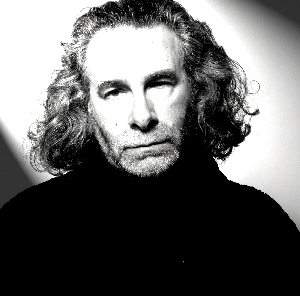 Kevin Godley is a multi-media master, having directed many of the coolest music videos you've ever seen. But before that, he was half of Godley & Creme and 1/4 of 10cc, singing, drumming, and mostly coming up with ideas, ideas, and more ideas. 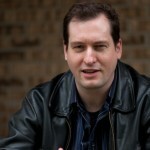 Today he runs Whole World Band, a platform for collaborative video creation, and recently released his iBook autobiography Spacecake, but he still performs on occasion, and for the first time produced some solo music as part of his soundtrack to the audioplay Hog Fever . On this episode of the Nakedly Examined Music podcast, we first discuss his song from that project, "Confessions" (2015), then "Punchbag" from the Godley & Creme album L (1978), "Barry's Shoes" from GG06 (2006), and finally play "Lost Weekend" (feat. Sarah Vaughan) from Consequences (1977). Here's that BBC documentary on 10cc I mention in the episode. Watch the G&C video for "Cry," which presages Michael Jackson's "Black or White" by several years. Read about G&C's invention, the Gizmotron. Take a look at this site dedicated to G&C's album Consequences. Here's "Donna," that '50s tune we mentioned, which was 10cc's first hit (the first singer being Lol Creme, the second being Kevin). That 1975 10cc tune that we mentioned as being a precursor to Queen's "Bohemian Rhapsody" is "One Night in Paris." Finally, here's Ramases, who 10cc backed in 1971 on a hippie prog space album. These are interesting. Eventually this podcast will have covered a lot of new ground. If anything I find the ‘failure-song’ to be the least rewarding so far. Personally I’d like to hear more technical questions to the artists who are very conscious of the theory of harmony. Thanks, Daniel. Who would you recommend I try to get for harmony? I’ve had two instrumental type guys now (eps as yet unreleased) who did not have much to say about it, as they don’t work using music theory at all. The “fail song” on this episode, was really just the “Consequences” project as a whole, which we discussed but the failure of which was not highlighted. And I think Lowery just ignored my guidelines, though pulling something from deep in the back catalog is sort of the point of that suggestion, so “Skinheads” was fine there. I’ll try to push harder for educational benefits out of songs like Fritz’s third, though we keep kind of burning ourselves out on songs 1 and 2, so we’ll see. For the most part guests are still picking something pretty listenable for #3. I would recommend Owen Pallett; Canadian violinist, multi-instrumentalist, songwriter and arranger, who has worked with many indie-rock bands. Pallett used the moniker Final Fantasy for a few of his albums. His 2010 album Heartland under his own name is quite the chamber-pop masterpiece — check out “Lewis Takes Off His Shirt” and “E Is For Estranged” for music harmony made good use of. Thanks. I just wrote to Owen’s manager.